The benefits offered by social media — from short lead times to total transparency, and two-way to communication to powerful guest engagement — mean hotel bosses are expected to place increased emphasis on the medium in 2012. According to Sofitel VP Middle East, Africa and Indian Ocean Sami Nasser, social media “is a revolution for the hotel industry”. “Social media creates opportunities never envisioned before,” said Nasser. “It influences how you are positioned on Google, your reputation can be damaged or enhanced within a blink of an eye, social commerce is coming, and all this is going mobile. 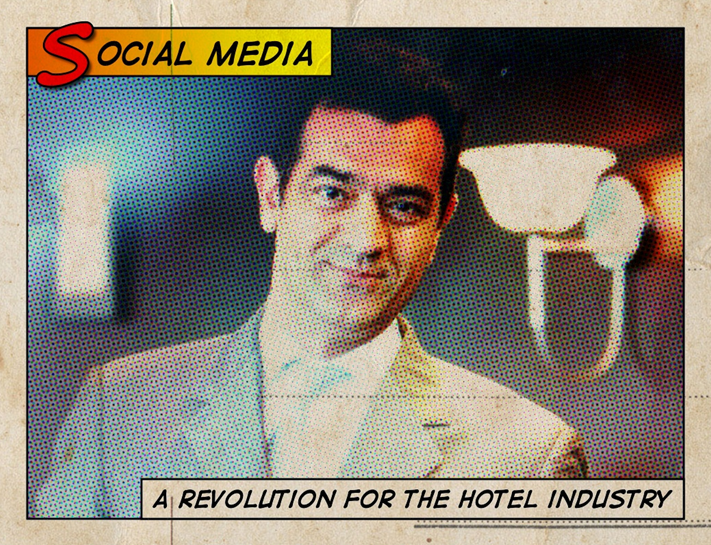 It is a revolution for the hotel industry, and it is just the beginning”. Fairmont regional vice president and general manager at Fairmont Hotels and Resorts UAE Henning Fries said social media offered a range of benefits hotels could capitalise on. “Social media affords the opportunity to instantaneously reach to guests with a very short lead time that does rival traditional communication vehicles such as advertising and public relations. It also lends itself very well with guest recovery on sites such as TripAdvisor, where we have the opportunity to directly address issues and concerns on a public platform,” said Fries. He continued: “And the numbers definitely point to the prevalence of social media today. One report stated that approximately seven billion mobile apps were downloaded in 2009, with forecasts that this will increase to almost 50 billion by 2012”. Hospitality Management Holdings president and CEO Michel Noblet agreed that social media provided a powerful way to interact with customers. He asserted that it has “the potential to significantly change the way we do business”. However, all three hoteliers were keen to qualify that great care must be taken to use social media properly. Fries said social media must be “couched within the communications role” and combined with marketing and PR. Noblet said the challenge was ensuring hoteliers understood that using social media effectively comes down the engaging more with customers. “It can be used as an effective and strategic marketing tool provided hotels understand that it only enables mass collaboration and is not just another channel of communication which most people have mistaken it to be. The frustration today is that companies do not know how to engage with customers,” said Noblet. Deciding how much to invest in social media was also a concern. Rotana president and CEO Selim El Zyr added: “A recent Travel Industry Question Time run by TravelMole in London looked at the issue of social media and its use to the travel and tourism industry. “There was some feeling that the industry is still doubtful about return on investment (ROI) but, in fact, there is more confusion about the best way to use the ever-developing technology. “The question here is how far can brands push the social media interaction without losing the personal connection with customers? Or maybe social media can become another way of enhancing the personal experience,” suggested El Zyr. “It could be argued that technology is in danger of isolating us from our customers, but, at the end of the day, people are our business and we must translate the online presence into the guest experience when they actually arrive at the hotel. There is so much that we can know about our customers through social media, which consequently should give us more tools and information to tailor make services for them,” he said. El Zyr acknowledged that it was difficult to gauge the effectiveness of these platforms, however. He recommended that the focal point for hoteliers should be determining “just how many of our customers are actually using social media, how much interaction they want from us at this level and how we can best encourage it to serve both our guests and our own brand values”.